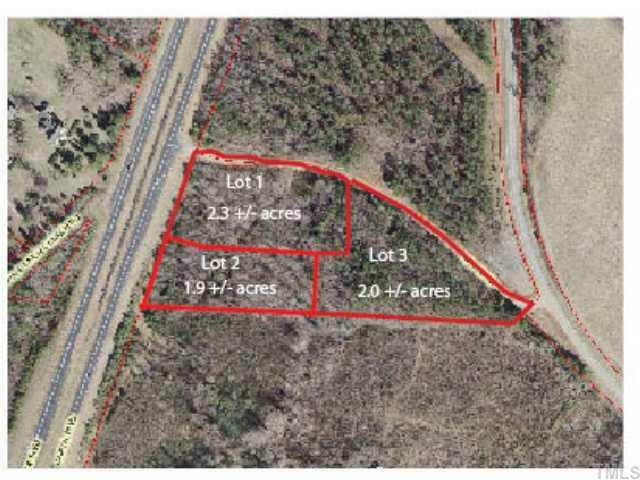 Lot 2 for Sale: 1.9 +/- acres with approximately 200' of road frotnage on Capital Blvd in Wake Forest. Close to new elementary school. Right-in Right-out access via deceleration lane. Close to new Regency Harris Teeter Development. This is a great opportunity to buy a small outparcel without paying a fortune. City water on site. Sewer nearby. Northbound lane near a median cut.